Darrell Eager is an extremely talented photographer based in Minneapolis, who is well known for both conceptual and commercial photography. He approached CSA with a request for a simple and powerful stationery system that bucked the trend of highly detailed, tricked-out photographer IDs. 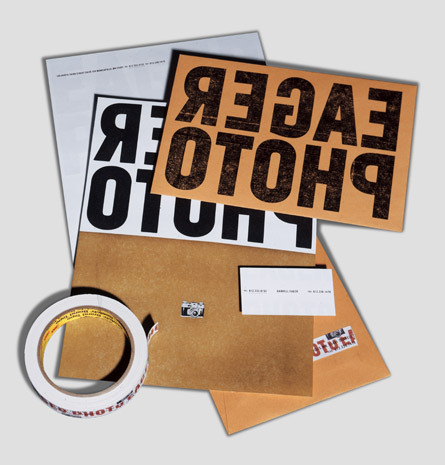 We created a wood-type printed letterhead that folded in half for insertion into a matching booklet sized envelope – perfect for including small prints with correspondence and invoices.